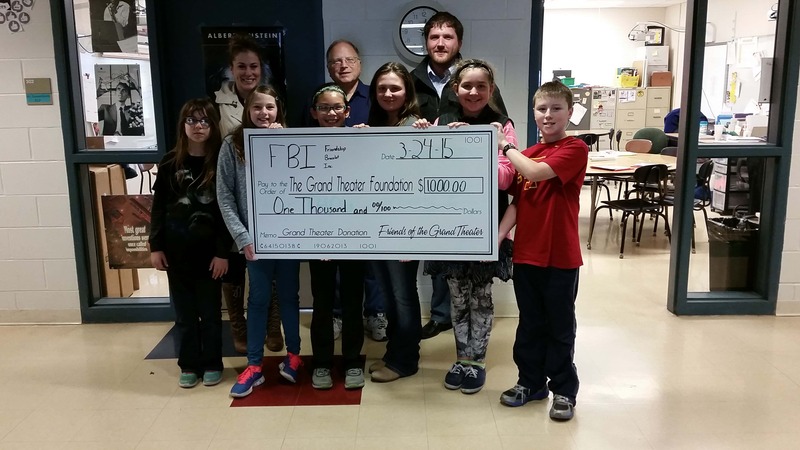 A $1000 donation was made to the Grand Theater Foundation by 5th grade students at Northstar Elementary in Knoxville who held a fundraiser selling friendship bracelets. Several students at Northstar Elementary created a business called Friendship Bracelets Incorporated. The idea was part of a 5th Grade Community Project, according to teacher Tony Roozeboom. He says the idea of making friendship bracelets for the project came about because they felt there wouldn’t be a lot of upfront costs and that other students would be interested in purchasing them, if they were marketed right. Roozeboom says their marketing strategy, which included a television commercial, newsletter, and the creation of a website, worked so well that they sold out of bracelets their first day and needed the assistance of numerous other 5th graders to make more. He says, in total, they sold about 800 friendship bracelets.